How does a claimed 221 hp sound to you? 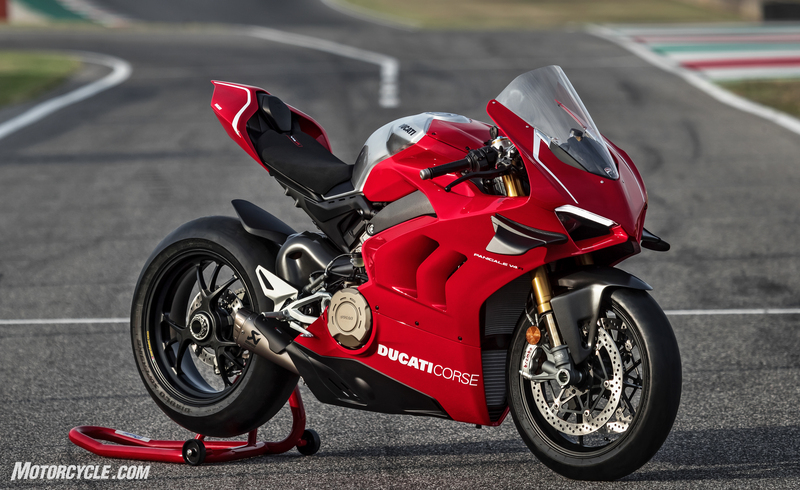 We knew it was coming, but now that the cover has been taken off the 2019 Ducati Panigale V4 R, all we can say is wow! Take the WSBK-legal displacement 998 cc Desmosedici Stradale R engine, attach frame sections to both ends to mount top-shelf Öhlins suspension, and wrap the whole package in a Ducati Corse aerodynamics package, and you’ve got a superbike that is ready to take on the world. Read more about 2019 Ducati Panigale V4 R Unveiled At EICMA at Motorcycle.com.